ZEN Associates, Inc. is a Landscape Architectural and Interior Design firm that provides design and build services to homeowners, corporations and institutions that value our technical expertise and comprehensive approach to every aspect and detail of a project. Founded in 1980, we have grown to become a leader in contemporary landscape architecture while always maintaining our specialty in Japanese design. From conceptual and schematic design to construction, interior design and long-term maintenance, ZEN Associates is the choice for clients who appreciate distinctive environments that combine practical function and aesthetic appeal. We are landscape architectural design/build company and offer landscape architectural design, landscape construction, permitting and land planning services. Check out our work! Woodburn & Company's goal is the production of thoughtful, innovative designs that reflect a deep respect for the desires of the client. Bayberry Nurseries distinctive comprehensive development approach provides clients with honest service, craftsmanship, and professionalism at every juncture. Jacalyn Gould is a Wellesley, MA-based landscape architect specializing in the design of residential properties throughout New England. The goal of quality, in materials and craftsmanship, is at the heart of her work. Above all, she strives to create landscapes that are timeless and convey a sense of place. Her approach to design is about listening to her clients and creating functional and meaningful outdoor spaces that relate architecture, program and the surrounding landscape. Jacalyn is committed to creating sustainable landscapes that lower maintenance costs, increase natural plant communities and utilize local materials. Minglewood, LLC established in 2001, is a design firm dedicated to the practice of ecological planning & landscape design. Our passion is creating zen-inspired designs that focus on people, the environment and their interconnectedness. With over 15 years of experience in residential design, we are particularly attuned to blending your individualized needs with the unique features of your land. Personal service, attention to detail and hands-on involvement are the hallmarks of Minglewood, LLC. We commit a strong ethic of sustainability to each project and work collaboratively to build outdoor spaces that are elegant, diverse and dynamic. Whether you have a small urban garden or a large country estate, we would be honored to transform your vision into reality. 6x Best of Houzz Winner! Elliott Brundage Landscape Design is a professional design firm offering creative, artful ideas coupled with functional, yet elegant, design solutions. Elliott Brundage works personally with each client from inception to implementation ensuring the integrity of the project. Each design is a carefully planned, elegant response to the unique context of the site and its environs, coordinating harmoniously with the specific requests and needs of the client. Budget and time constraints are critical components to each project and are carefully factored into each decision throughout the project progress. The firm offers professional design and planning services to a diverse clientele serving the needs of private individuals, designers, fine home builders, engineers, and corporations throughout New England. Elliott Brundage is a registered landscape architect in the states of Massachusetts and Rhode Island with over 20 years experience spanning the fields of civil engineering, land surveying, commercial and institutional landscape design, and high-end residential landscape design. He is a 1985 graduate of the University of Massachusetts at Amherst, receiving a B.S. in Environmental Design. Member, American Society of Landscape Architects. At Jean Brooks Landscapes, we provide the three most important components to a vital and memorable landscape: a carefully conceived and thoughtful design, a meticulously orchestrated and executed installation, and most importantly, a robust maintenance program that will shepherd your garden from implementation to maturation. This is what makes us unique. We believe our success can be traced to three inherent company traits: 1) Our style, which honors both traditional and contemporary aesthetics, incorporating design elements inspired by nature. 2) Our staff, comprised of talented designers, seasoned plant lovers, and skilled workers. 3) Our mission, to create imaginative and unique landscapes to meet any design preference with the aim of inspiring and enriching the lives of those who reside there. Sallie Hill Design provides landscape architectural and landscape design services. With over over twenty years experience in the design, and construction management of distinctive residential and fine gardens, we welcome the opportunity to discuss your project. Landscape design services range from creating large design master plans with extensive planting plans, for large estates, to designing small and intimate gardens spaces. Located in Lexington, MA her work can be seen throughout New England, the greater Boston, Massachusetts MetroWest area, Cape Cod, Martha's Vineyard and Nantucket, Rhode Island and coastal Maine. Sallie is a member of the American Society of Landscape Architects (ASLA). Carey Ezell Landscape Design is a full service design and build firm specializing in the creation of harmonious outdoor spaces. With extensive experience designing and installing terraces, patios, stone walls, water features, fireplaces, pools, driveways, perennial, vegetable and container gardens, CE L.S. Design executes all projects with attention to detail, client service, extensive plant knowledge and superior construction quality. Hilarie Holdsworth Design (formerly known as Walker Creek Garden Design) has served the North Shore, Cape Cod, and western suburbs of Boston for 17 years. Hilarie Holdsworth draws on her background in art and illustration and is uniquely qualified in creating custom residential and select commercial and public landscapes. She works closely with her clients in creating a program which focuses on their desires, expectations, and practical considerations. Her creative process is informed by a site's opportunities and regional New England vernacular, with an emphasis in selecting appropriate materials, plants, and artful elements. She endeavors to link outdoor spaces for living with built elements, integrating home and landscape for those who use and enjoy them. Plant selections are carefully made to reflect sensitivity to the natural landscape, while displaying long seasons of interest and attributes. She always considers the ecological sustainability of her designs and the level of maintenance required to keep them beautiful and vibrant. Projects range from small urban spaces to much larger rural properties, and from new construction to the rejuvenation of existing properties. All share a design philosophy intended to create beautiful, functional, and inspiring spaces. Hilarie closely manages all aspects of a landscape's installation, and carefully guides each project with a client's wishes and budget firmly in mind. This insures a highly efficient, creative, and robust process. Woodburn & Company's goal is the production of thoughtful, innovative designs that reflect a deep respect for the desires of the client balanced with a thorough understanding of the land and its processes. Most importantly, we are thoughtful and creative designers who take great pride in our ability to provide attractive and appropriate landscape designs for our clients. Professional landscaping anchors a house to the site, connects it with the environment and creates a welcoming entrance to a home. A Hampstead landscape architect or designer works with living plants as well as building materials to design for future growth and maintenance as well as the present visual appeal. Landscape architecture is very regional, so look for a landscape designer in Hampstead, NH that’s familiar with the local climate and plant types that do well there. Start here to learn more about the landscaping services in Hampstead, NH that will help create your dream garden. The work of this outdoor professional includes most everything surrounding a home's exterior. A landscaping architect can even work with the home architect to choose the right spot for your Hampstead, NH house. From there the Hampstead landscaper will develop preliminary concepts for your front or backyard design based on individual needs including the climate and activities that will take place, as well as layouts and planting plans. Landscape architects will also design any structures or outbuildings that will be added to the space. Any grading changes that will be added to the yard are also the responsibility of the architect. This includes any drainage modifications. An engineer can also be responsible for these tasks, but licensed New Hampshire landscapers are fully capable. Like building architects, they will produce preliminary concept drawings as well as detailed construction documents and planting plans. Three-dimensional renderings and illustrative plans are all supplementary. A Hampstead landscaping designer generally will have ecological, aesthetic and technical training, which helps them maximize the potential of your outdoor space. Keeping in mind both style and functionality, garden designers analyze your architecture and yard to produce a plan that may or may not include location and materials for walkways, patios, water features, fences, garden aspects and more. In addition, a landscaper in Hampstead, NH will carefully assess your geographic region to choose plants, trees and flowers that will flourish naturally, as well as address concerns such as drainage, screening and soil conditions. Certain landscape designers only help with the planning portion, while some may deliver the plans and then oversee a hired landscaping contractor. Others — typically following a design-build approach — take care of both the design and all aspects of the landscape architecture and construction. 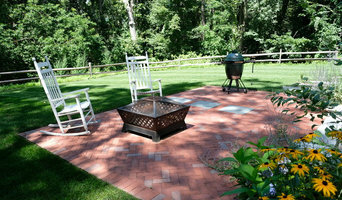 Before you hire a New Hampshire professional landscaper, consider the scope and emphasis of your outdoor project. Landscape architects, who typically hold advanced degrees in their field, are trained to develop comprehensive structural plans that include plants, hardscaping, water use, drainage and more. Landscape designers typically specialize in the aesthetic and horticultural, rather than structural, side of yard and garden planning. They might or might not have advanced training. Even within their fields, a garden designer may specialize in hardscape- or vegetation-focused designs. In some cases you might need to hire additional help to get the outdoor space you want. Here are some related professionals and vendors to complement the work of landscape architects & landscape designers: Landscape Contractors, Garden & Landscape Supplies, Tree Services, Gardeners, Lawn Care & Sprinklers, Decks, Patios & Outdoor Enclosures. Find a Hampstead landscape architect on Houzz. 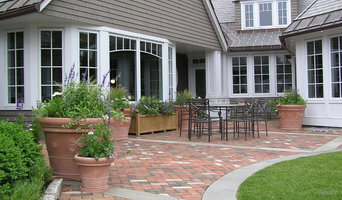 Narrow your search in the Professionals section of the website to Hampstead, NH landscape architects and designers. You can also look through Hampstead, NH photos to find a space you like, then contact the professional who posted the photo.